Welcome to my blog and today I am sharing my second DT contribution to the Country View Challenges theme for November which is 'The colour Blue'. My backgrounds started with the card being dipped into a blue mix of distress inks and brushos and dried. 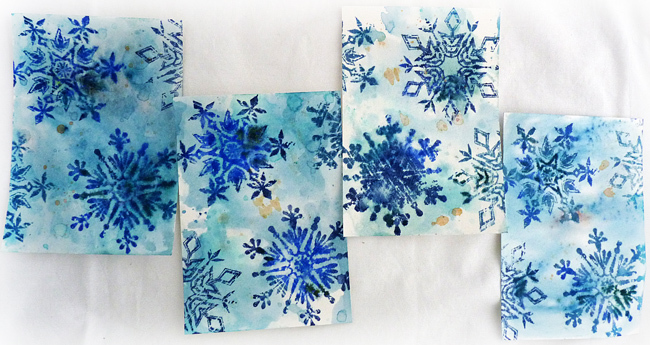 I took the gorgeous shabby snowflakes from Tim's Weathered Winter stamp set and covered them with blue distress inks direct from the pads. Don't forget to always start with your lighter blues and then the darker ones so you don't contaminate the lighter colours. 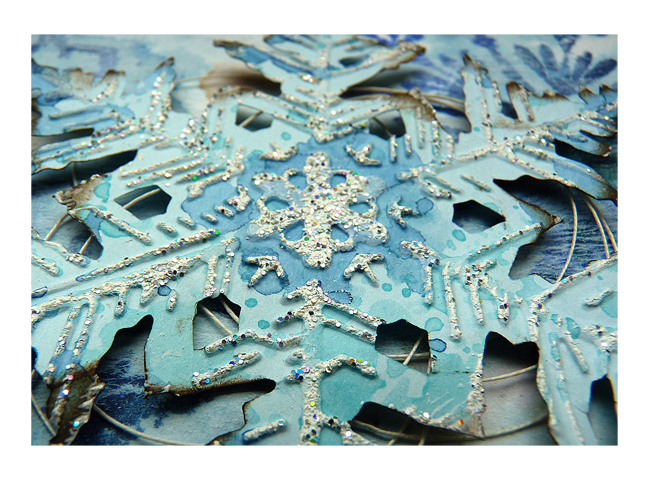 I spritzed water into the air and wafted the snowflakes through it and then stamped onto the background, in most cases this gave me an even more distressed look as the snowflake edges bled into the background a bit. You can see no two look the same. When perfectly dry I brayered over a thin layer of white gesso to make it look more like a snowy background. 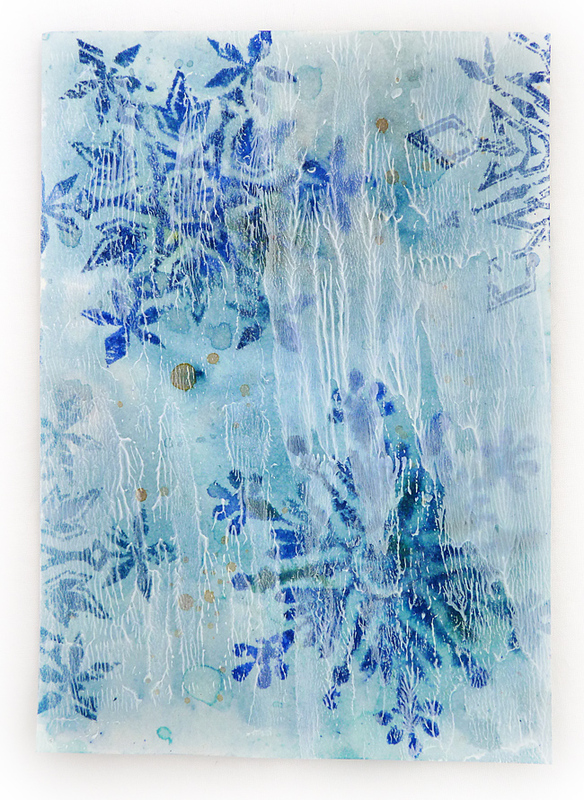 I wanted a strong image as the focal point so I die-cut Tim's layered snowflake in a light blue card, and lightly brayered gesso again over the raised parts, dried it off and dipped it into broken china DI and dried then into faded jeans and dried it again. 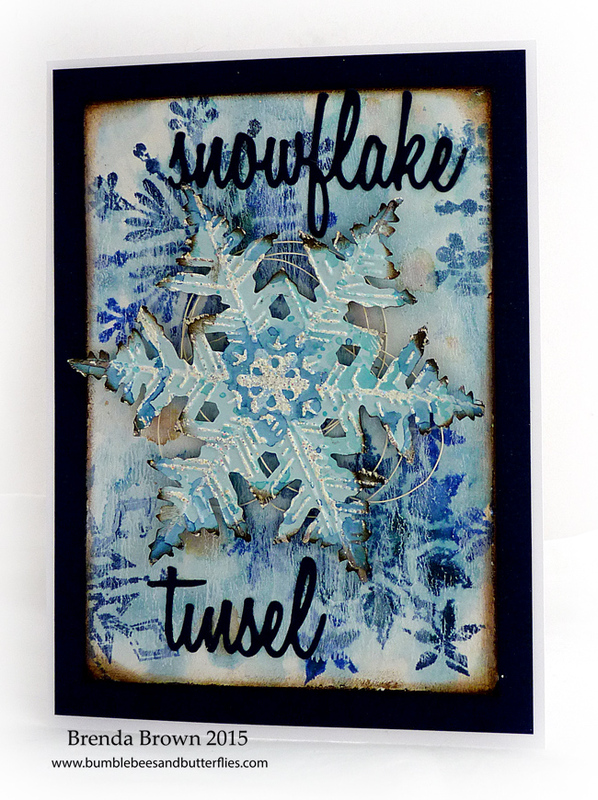 I brayered over with the gesso again being careful to just touch the high points and sprinkled over some snowflake tinsel embossing powder. Once heated this gave me a beautiful sparkly effect and to make the snowflake pop and stand out more I blended ground espresso DI round the edges. ... and then mounted onto some dark blue paper before adhering to the card. I have prepped 9 of these with just the one completed but when I finds some time there will be quite a few more to add to my box and plenty of handmade cards to send to family and friends. I hope your week is going well. Enjoy the run up to the weekend and I hope you find some quiet time for you in it somewhere. 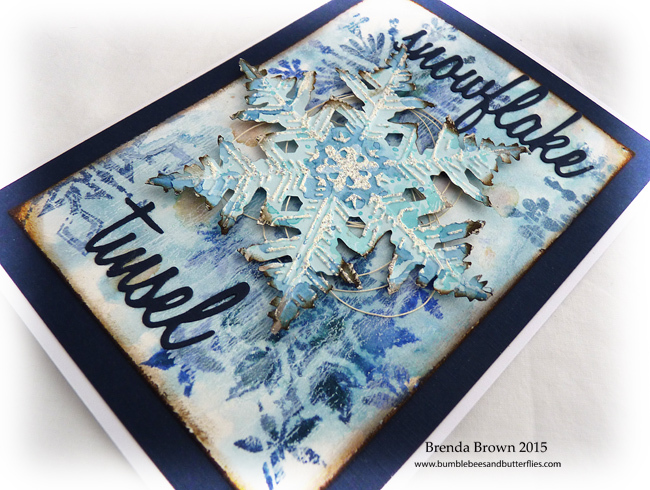 Stunting cards Brenda, I love how you've done the background and the snowflake is fabulous. 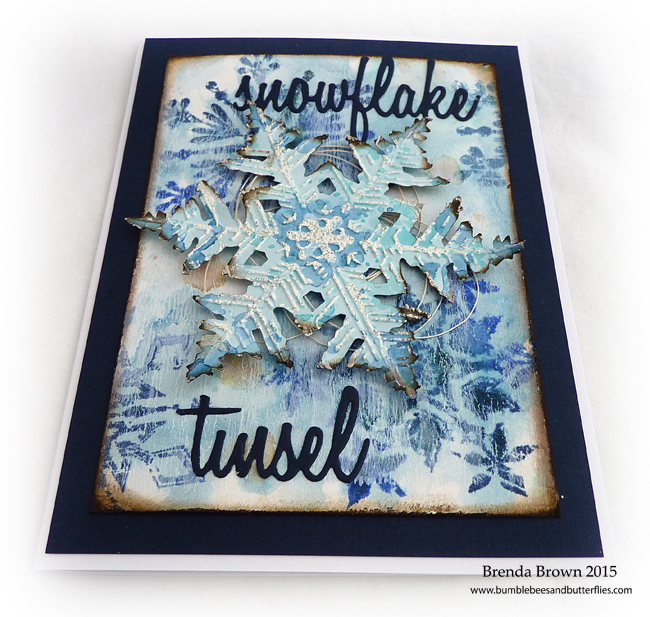 Beautiful card, Brenda! Love the snowflakes. Wow! Brenda, das ist eine außergewöhnlich schöne Karte. Dieser moderne Stil gefällt mir sehr gut. 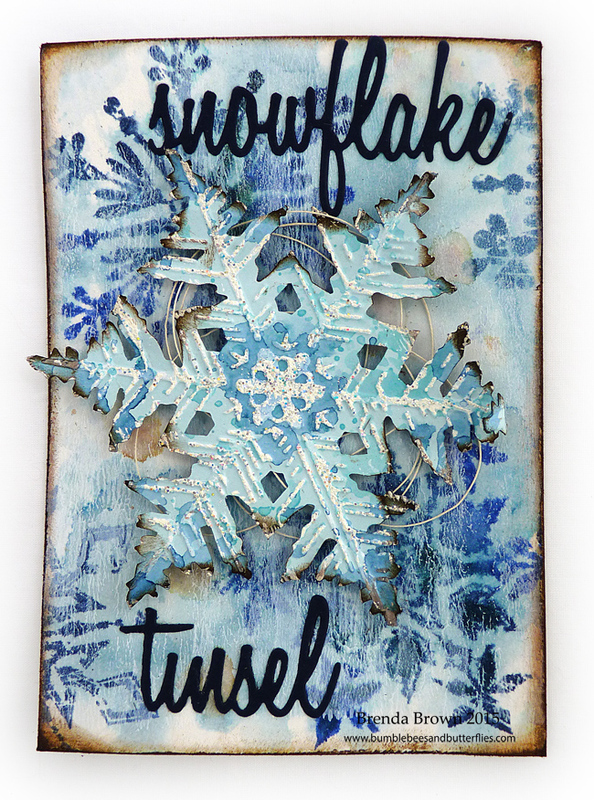 Beautiful snowflake card...i haven't even gotten my layered snowflake out yet this year, and now I am INSPIRED! Lovely snowy background! Your family and friends will be blessed to receive one of these beauties! Hugs! 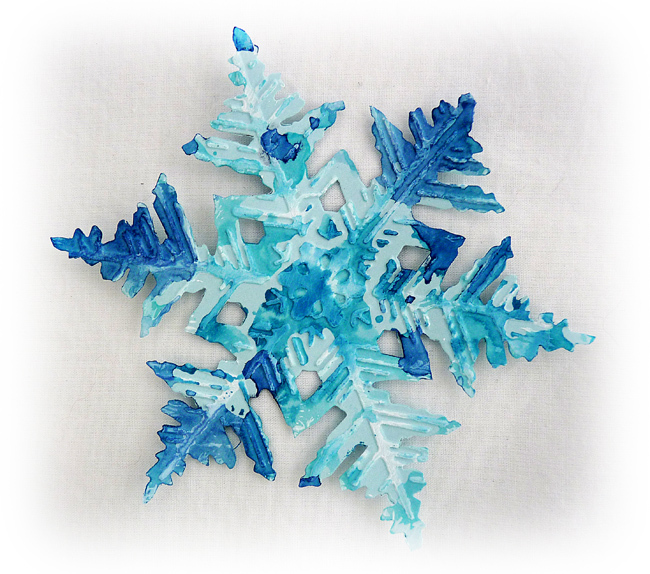 And another wonderful snowflake I missed - beautiful blues, and delicious icy frosting.